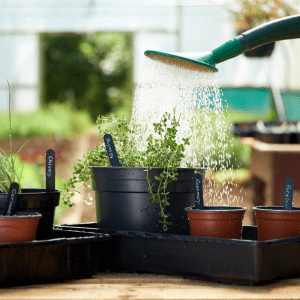 Herbs usually fall into two categories – perennial and annual/biennial. 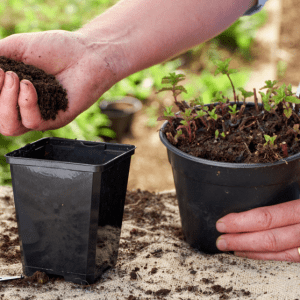 Perennial just means that they are a permanent plant that may grow more slowly or die right back in winter but will regenerate and grow even stronger come the next spring. Perennial herbs are a great investment as they will keep producing for many years once they are established. Annual herbs either will not survive the winter, or their life cycle just means they will flower, seed and die in one season. Once cuts all herbs should be washed gently in cold water. They will keep in a covered container or clean plastic bag in the fridge for 5 – 6 days. Here is a list of the most common herbs that you might grow for use in the kitchen. 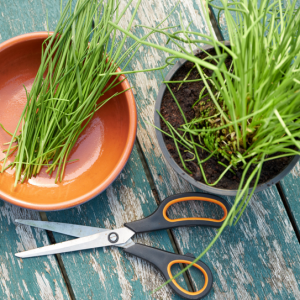 Harvest chives by cutting them down at the very base of the plant and they will regenerate cleanly and more finely. If there are brown bits at the top or bottom of your fistful of chives cut the top and bottom inches off and give the bunch a shake to remove the dead bits. Wash and chop finely. The beautiful purple chive flower is made up of lots of tiny little flowers with a zingy onion flavour. Pick these off and sprinkle over your favourite salad. Chives will keep growing from early spring to autumn. 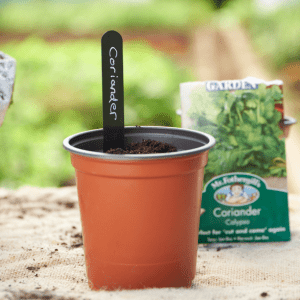 Coriander can be quite tricky to grow as it can come up, perhaps give two cuttings and then tend to bolt (flower, then go to seed and die). Cut as for parsley about 5cm above the ground. As with all herbs, the flowers are pretty and edible, but once removed the plants should come out and re-sow something else. 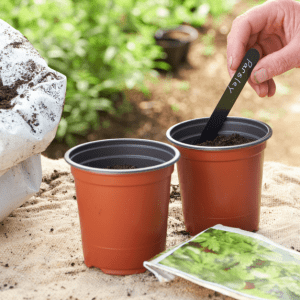 When growing from seed, sow a row every two – three weeks to have a more constant supply. individual stalks at the base. If the parsley produces a flower spike you should look to cut this off immediately. Use to stretch out a basil pesto, or use as a parsley pesto in its own right. Great with any root vegetable soup. 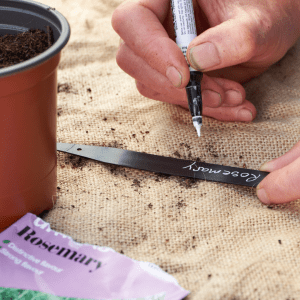 It is unlikely that you will ever have too much rosemary, and even if you do it will only grow and thrive as it doesn’t need constant harvesting. 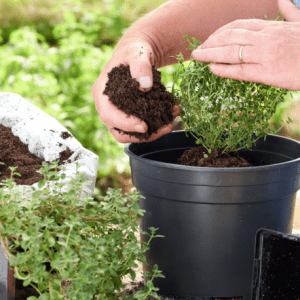 When harvesting both rosemary and thyme you are aiming for a haircut type trim of the new growth every two – three weeks during the summer so the plant will keep producing. If you cut down into the old wood, the plant will take a long time to recover. As for rosemary, thyme does not need regular trimming and a short haircut type trim is what you’re aiming for. Tender new stems can be chopped whole, but with older stems which can be woody strip the leaves off the stem before using. The tiny thyme flowers are edible and unlike rosemary, it’s good to cut the flowers off once they have died to keep the plant going and tidy looking. Mint can really spread and take over a whole bed in just a couple of years so it is a good idea to grow it in large pots, or put it in a corner somewhere on its own. When harvesting mint, cut the whole sprig close to the ground about 3 – 5cm (1″ – 2″) up, even if you only need the top part. Cut the bottom off the stalk and discard; this ensures fresh new growth. It is important to cut mint rather than pull it as it will come up by the roots.